As announced during the Singapore International Reinsurance Conference in late October 2018, Singapore will be at the forefront of boosting the resilience of Southeast Asian economies against potential threats emanating from a growing exposure to cyber-attacks. The world’s first cyber risk pool will be set up to provide commercial insurance cover with an initial capital of USD 1bn. From its inception, the facility will be provided with capacity from both traditional reinsurance and alternative/complementary forms of risk transfer such as insurance-linked securities (ILS). This recent development highlights the potential of (re)insurance pools as government-backed programmes which may be used to mitigate not only natural hazards and more established man-made risks (e.g. terrorism), but also new emerging risks such as cyber. In a nutshell, a government may offer a backstop as guarantee for the pool’s reinsurance component. Most commentators seem to agree that pools have a role to play in situations resembling market failure where the private (re)insurance market is unable or unwilling to provide appropriate solutions to tackle risks. In general, market failure in the insurance industry may be the result of either insufficient capital, a lack of cover, the inability to settle claims, or a failure to contract (e.g. those exposed to risk may not buy cover due to a lack of awareness). Public-private partnership, i.e. public schemes with private sector involvement to provide reinsurance capacity, may offer solutions to this conundrum. A strong partnership between the private sector (re)insurance industry as well as stakeholders in governments and civil-society is deemed to be key in the successful establishment and operation of pools to deal with new emerging risks. The wider (re)insurance industry is tasked with developing more efficient reinsurance and risk transfer programmes. However, it is also crucial to educate and emphasise the economic relevance to the public sector and the general public to obtain endorsement from governments and citizens. The Singaporean government is aiming to establish the city state as the leading hub for the transfer of risk in Asia Pacific. 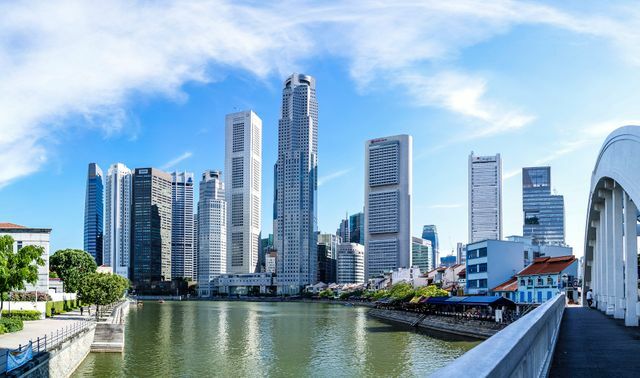 For this reason, Singapore has been keen in attracting (re)insurance companies and alternative capacity from international capital markets by creating an environment in which innovative ways of tackling emerging risks can flourish. However, the application of the ILS concept and its blending with traditional reinsurance to cover cyber risk is still very much in its infancy.